Perfect for dressing up, Flower Walkers provide comfort and style for any special occasion. Flower Walkers are just like our Unisex Walkers, but feature fun floral accents at the toes. These cotton walkers are easy to put on and fit snugly. Soft Chamude (artificial leather) soles are super lightweight and flexible to ensure comfort. Plus, non-slip PU sole grips let your child toddle without worry. Style these shoes with our adorable, matching Flower Headbands! 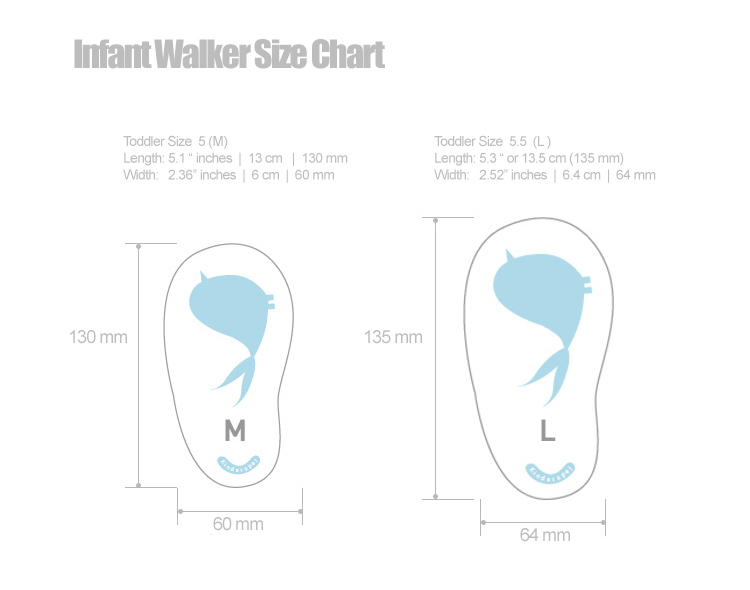 We created our sizing chart as a guideline for you. As children's feet size vary, we recommend measuring your child's foot from heel to big toe before purchase.